Contract staff in Singapore who have worked in the same firm for three months or more are entitled to statutory leave and other employment benefits. This change on contract staff will make the employment benefits for contract staff closer and similar to permanent staff. Last year, 202,400 Singaporeans and permanent residents were employed on term contracts, making up 11.3 per cent of the resident workforce – a rate that has mostly held steady in the last 10 years. With the ongoing economic restructuring and slowdown in Singapore and global economies, Singapore employment agency consultants have observed that contract staff employment is likely to see an increasing trend. Some contract workers working for the same employer for a long time do not currently enjoy benefits such as annual leave, sick leave or childcare leave, as they are on separate contracts shorter than three months and renewed with a break in between, according to the statement issued by the Ministry of Manpower. “Hopefully, these guidelines can help close the loophole where fixed- term employees can be short-changed by unscrupulous employers who deliberately break their contracts to deny them their statutory employment benefits,” said National Trades Union Congress assistant secretary-general Zainal Sapari. Under the guidelines, employers are encouraged to treat contracts renewed within a month as continuous, and grant leave benefits based on the cumulative term of contracts, for those of 14 days or more. Bosses could pro-rate leave based on the cumulative duration of the contract. For instance, an employee working for the same firm on three consecutive month-long contracts is entitled in his fourth month to benefits like two days of paid annual leave, based on seven days of paid annual leave a year. He qualifies as long as he does not take a combined break of a month or longer in the three months. The breaks do not count towards his length of service. Employers should keep to the notice period for early termination in the contract, according to the guidelines. 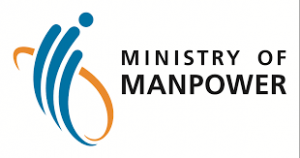 If the clause was not included, employers can check the Ministry of Manpower (MOM) website on what they should do.